New Smart boss Winkler was head of a construction company before joining Mercedes. Daimler AG is giving Smart more autonomy and has appointed a veteran executive, Annette Winkler, to lead the microcar brand. 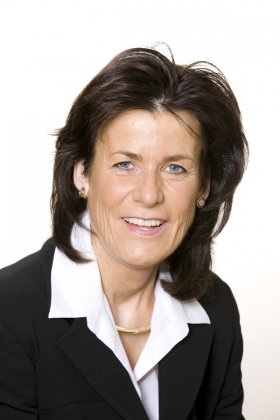 Winkler is the first woman to head a brand at the German automaker. Daimler CEO Dieter Zetsche has made promoting female executives to high-ranking roles one of his policy aims. Winkler will head a new Smart product unit within Daimler's Mercedes-Benz Cars division, effective September 1. She will move to Smart from her current role as head of Daimler's global business management and wholesale Europe division and will report to Joachim Schmidt, Mercedes head of sales and marketing. Daimler said Smart's development, production and sales functions will be assigned to the new unit. Winkler, 50, is a German native who joined Mercedes in 1995 as head of public relations. Before that, the economics graduate was managing director of her family's construction company. In 2008, Winkler was chosen by Automotive News Europe as one of the 25 Leading Women in the European Automotive Industry.